With its flat profile, the 36'' Under Appliance Central Vacuum Crevice Tool is able to reach under the tightest places to clean your home. Use it to clean under the refrigerator, washer, dryer, or any other tight space in your home. 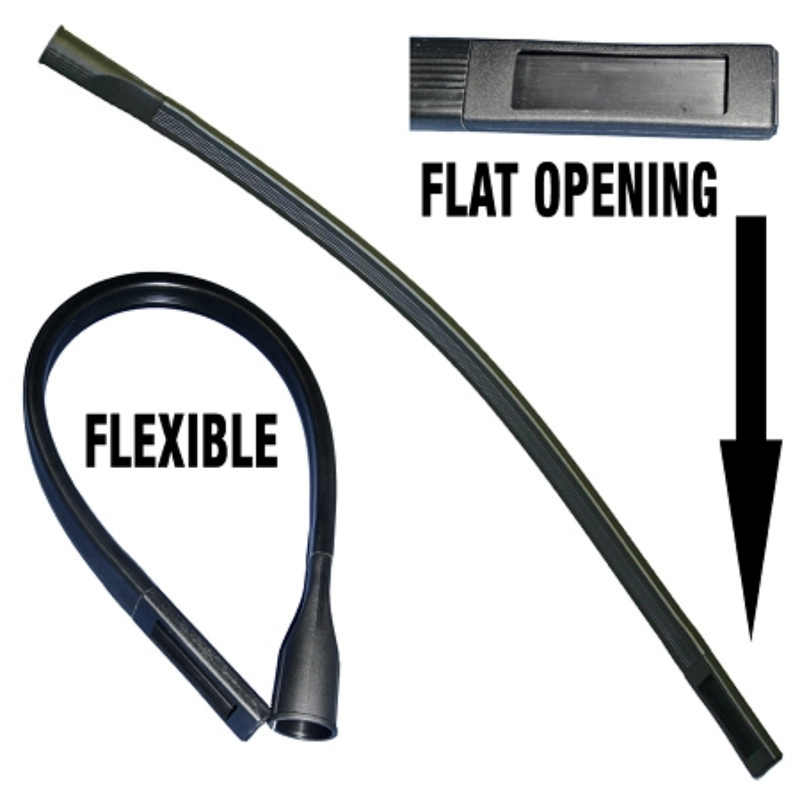 The crevice tool is universal and will fit all standard vacuums with an 1 1/4" industry standard hose or wand attachment and most central vacuums hoses. Exten Vac / Flat Vacuum Cleaner Attachment (Black)-- 36" reach under fridge and heavy furniture, Vacuums Up Dirt and Dust Bunnies, Great for Spring Cleaning Projects. The crevice tool is universal and will fit all standard vacuums with an 1 1/4" industry standard hose or wand attachment and central vacuums hoses including Oreck, Beam, Eureka, Shop Vac, Kirby, Hoover, Simplicity and many more.